MAJOR REHAB COMPLETED! NEW KITCHENS, BATHROOMS, AMENITIES AND MORE! COME TAKE A LOOK! Minutes from quaint downtown Robbinsdale, Bridgeway Apartments offers newly renovated features such as new windows, doors, kitchen cabinets and flooring. Amenities include a fitness room, lounge area and beautifully landscaped grounds. 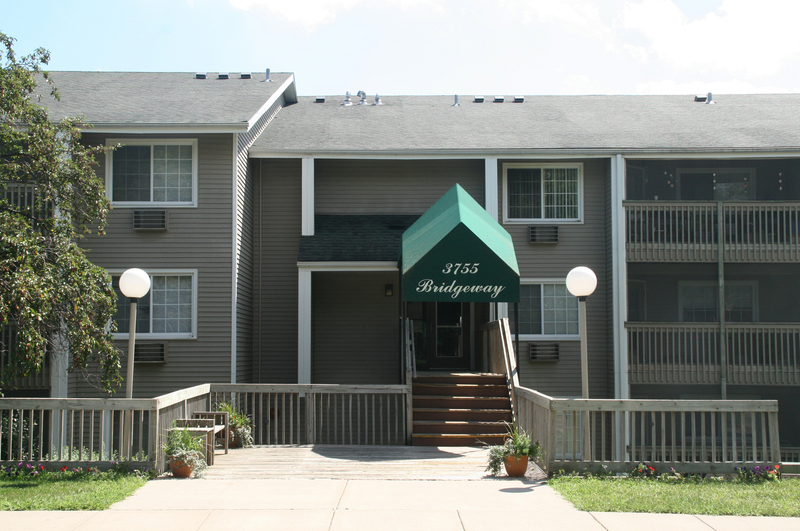 Bridgeway Apartments are nestled in an attractive, established neighborhood with its many storefront shops. The building is minutes from downtown Minneapolis and has easy access to MN Highway 100 and bus service. Bridgeway is pet-friendly, offering amenities that include on-site laundry facilities, controlled building entry. Off-street parking, and heated underground parking are available. Each home includes a large screened balcony/patio. We look forward to meeting you!